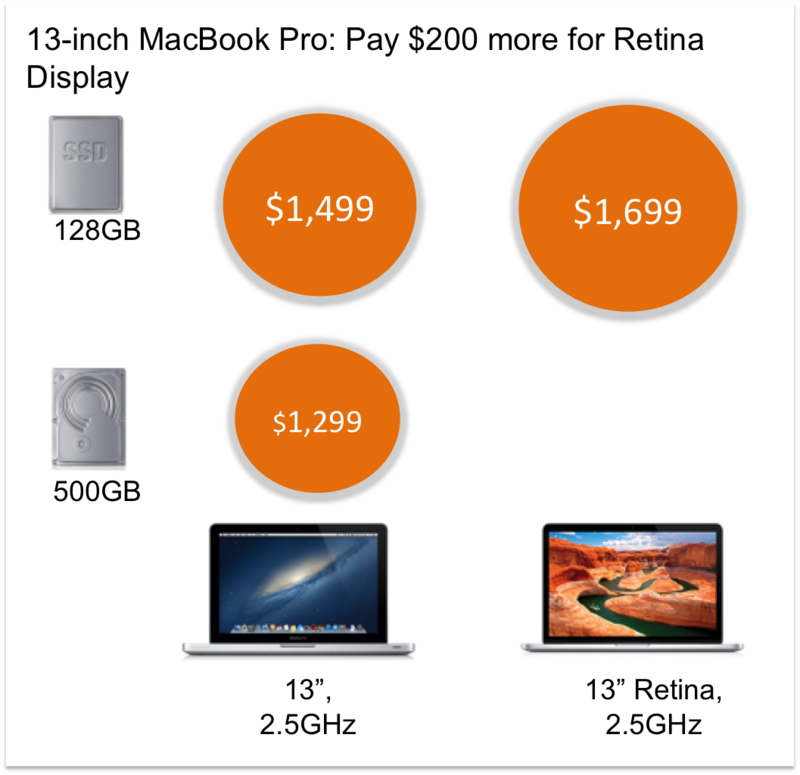 Two years ago I presented you with the following analysis of MacBook Air pricing. 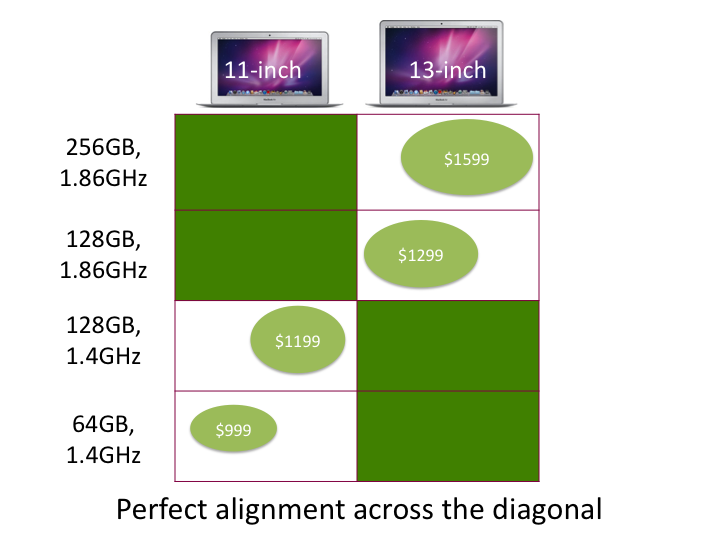 In summary, there are two prominent choice dimensions – screen size and disk capacity. 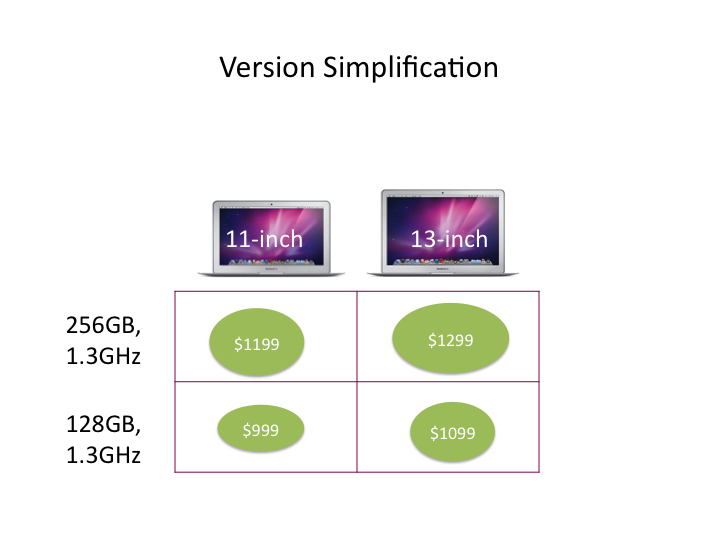 There are minor differences in CPU but the two dimensions Apple wanted customers to focus on were clear. I showed you why there was a 11″ MacBook Air in the pre-configured models. One thing you would have noticed in the last line up was the multiple levels and gaps. With yesterday’s announcement at WWDC there is a new much cleaner product lineup. Single CPU model – 1.3GHz, dual core Intel I5 processor. While this likely reduced the ASP because of elimination of $1599 model, they likely kept their margin because of lower marginal cost. 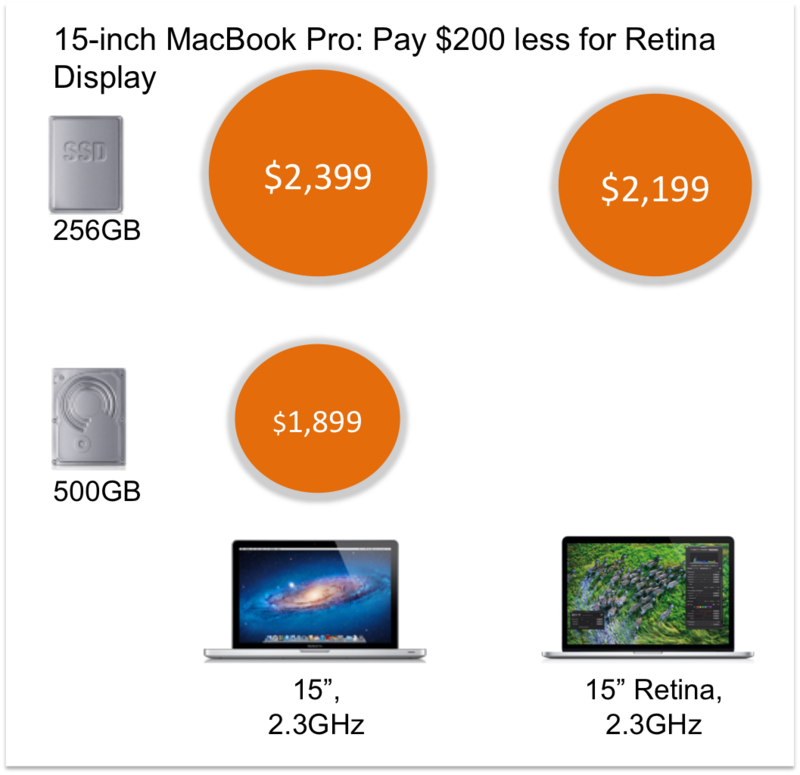 The $1599 model was likely losing volume anyway as it shoots past 13″ MacBook Pro that offers Retina display ($1499). Furthermore for those who wanted customization they do get to capture $150 in incremental revenue from CPU upgrades. Another point you would have noticed in the previous line-up is both the 11″ models were priced below the lowest priced 13″ model. That is no longer true. Gone is the perfect price diagonal and in its place a zig-zag pattern. This is because of the price premium they were able to charge for the 13″ over 11″. It dropped from $200-$300 to mere $100. And this is something they likely found using conjoint analysis (don’t believe those who say Apple does not do customer research). So not only is the iOS seeing design simplification (or flattening), their pricing is also going through simplification. Every model that is there now is there to serve a specific segment and not as a ploy to sell another model. 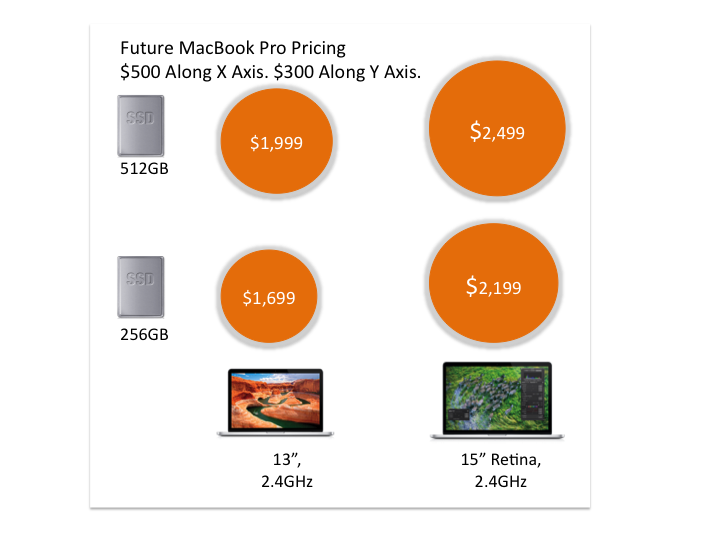 If I make a prediction for what is ahead for new MacBook Pro models, similar model flattening and simpler pricing.